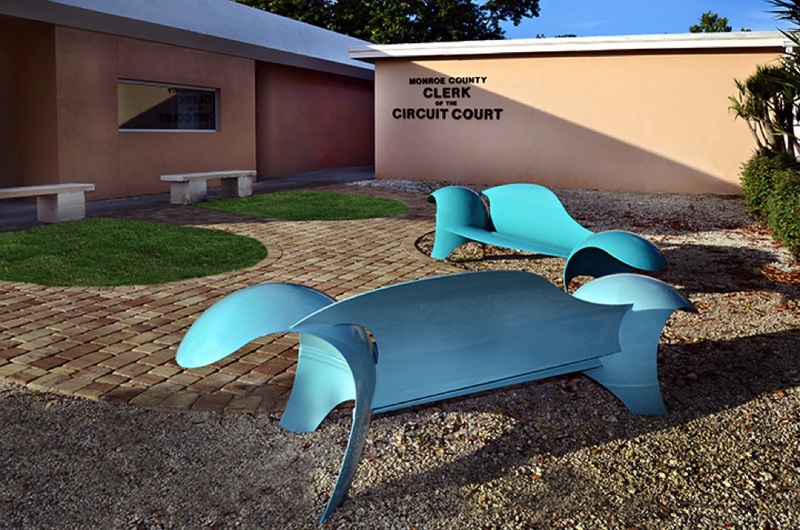 These benches were installed at the Monroe County Marathon Courthouse in the Florida Keys, funded by the County’s 1% Art in Public Places program. Elizabeth Young, Executive Director of the Florida Keys Council of the Arts said in a press release: “These benches create a lovely, quiet space for people who visit and work at the Courthouse. 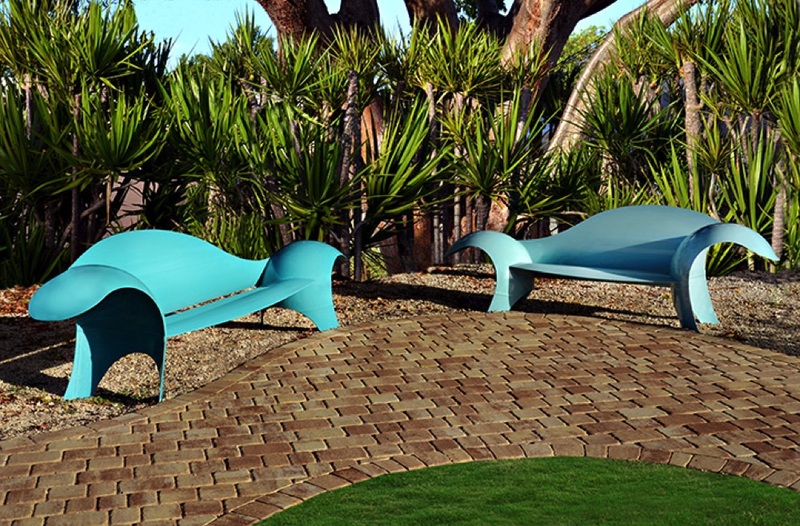 They fit perfectly for the vision of a contemplative courtyard where those waiting for jury duty or perhaps a stressful trial would have a welcoming spot to sit and talk.” The Art in Public Places Committee chose the cool ocean and blue sky tones. Colin Selig's work explores the boundary between sculpture and sustainable design. The objects he creates range from benches and other site furnishings to human scaled biomorphic sculptures, all repurposed from scrap propane tanks. To receive a quarterly newsletter with updates on Colin Selig's work please click here.